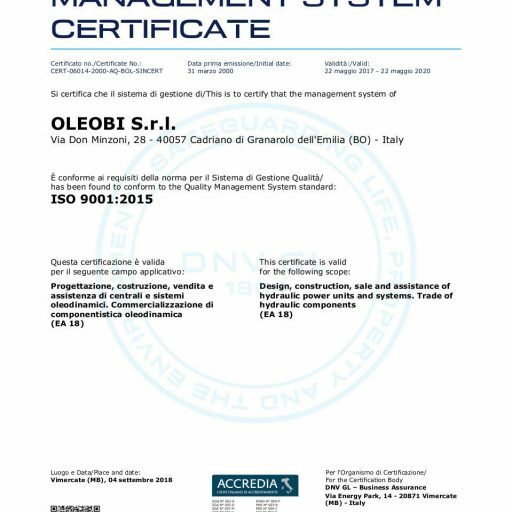 Our aim to provide our clients with more and more efficient and reliable products and systems led OLEOBI to pay great attention to the development of production and management processes that could guarantee the most high quality standards possible. Products in accordance with the applicable regulations in force (ex. Machinery Directive). 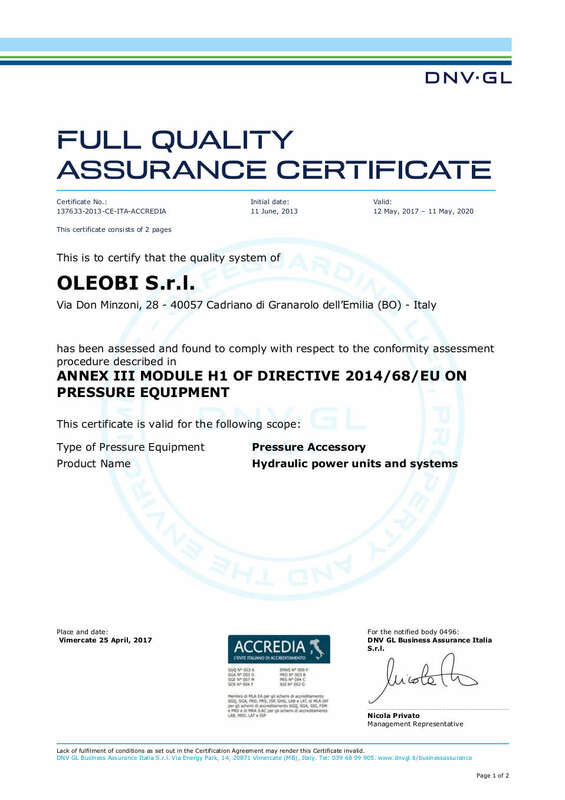 Products in accordance with PED and ATEX Directives concerning hydraulic equipment groups, components, systems and plant. The preparation of product dossiers and brochures upon client’s specification. 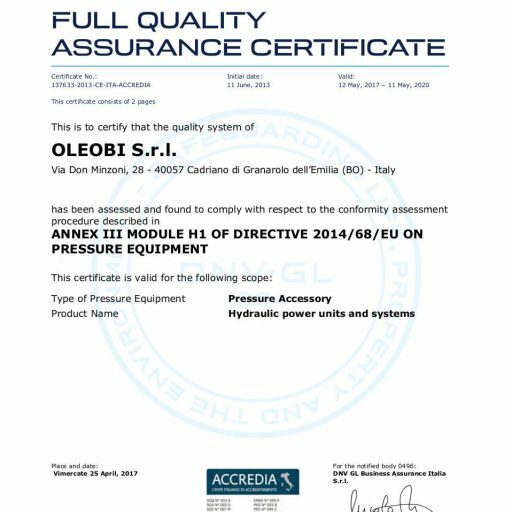 Products in accordance with the regulations issued by the main accredited bodies, as well as the complete management of the third party approval process (BV, DNV, ABS, RINA, LR, KR). MATERIAL certificates (3.1 Material certificates and ultrasonic test of raw materials). 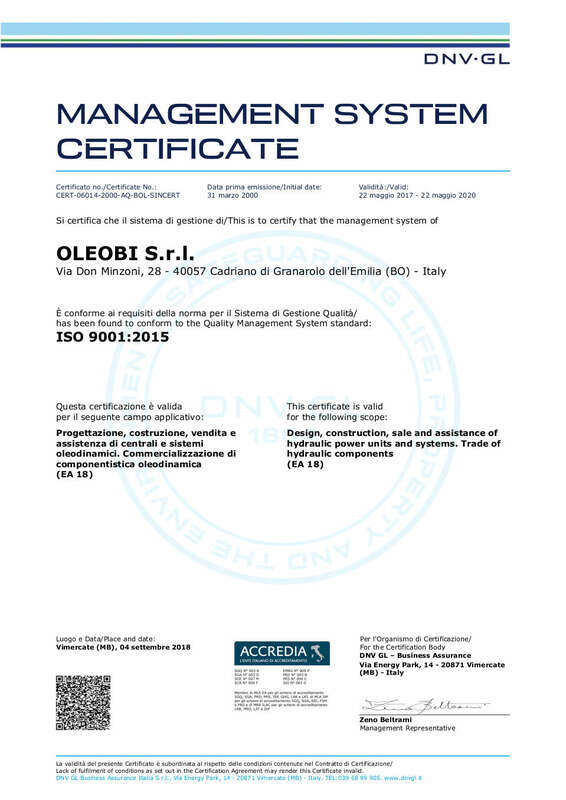 MATERIAL MANUFACTURE OLEOBI works with qualified welders and welding procedures in accordance with the European regulations, and is able to carry out Non Destructing Testing (NDT) through the liquid penetration method performed by qualified workers.